If you are in the Highlands of Scotland between March and November we would thoroughly recommend that you take in a game of shinty. Usually described as a cross between hockey and clan warfare, it’s a fast-paced game played by teams of amateurs throughout the Highlands where it has been played for millennia. It’s not a game for the faint-hearted, unlike hockey, the ball can be played in the air and there are no limits on the swing of the stick, known as a caman. Players can use both sides of their caman and can also use it to “block” or “hook”, although “hacking” (coming down on an opponants caman with yours) is most definitely frowned upon. It’s not uncommon for players to get a “wee tap” anywhere about the body; helmets are recommended but not always worn (unless the player is under 17, they have to) and the ball with it’s soft, usually wet, leather wrapping, raised seam and string wrapped cork centre presents its own dangers – believe us it hurts when it hits you. Our son was a shinty goalkeeper at primary school and once came home with a black eye where he had been hit by the ball (no helmets – it was the 70s), with an extra seam-shaped bruise on top. A shinty swing is in many ways very like a golf swing, except the ball is moving and people are chasing you with sticks while you try to hit it – shinty is very definitely a contact sport! It all sounds very macho but there has been a steady rise in the number of lady’s and girl’s teams over the years, in fact there’s no official regulation that says a “men’s” shinty team must be made up of just men – it’s not uncommon when some of the smaller sides can’t find enough male players to have the occasional lass on the field. Shinty was traditionally a winter sport but the season often ran over into the summer, sometimes the previous season only being completed within weeks of the new one starting, so in 2003 the decision was taken to move the game to the summer, neatly avoiding conflict with the football season which many also saw as being a drain on youth participation in the sport. Despite now being a summer sport the traditional New Year’s day inter-parish matches are still a major draw. We’re lucky in Fort William to have three local shinty clubs that you can go and watch. The closest club to the Snowgoose Mountain Centre is Killmallie who play at Canal Park in Caol, about 5 minutes walk away on the other side of the Caledonian Canal. At the time of writing, Kilmallie’s first team play in the Marine Harvest National Division which is also the league in which Fort William’s first team play. Their home ground is the An Aird Stadium near the Nevis Centre which also plays host to the Camanachd Cup Final every four years or so. Lochaber is based at the Spean Bridge Stadium* and at the time of writing play in the highest tier of the shinty leagues, the Marine Harvest Premiership. All three teams also have secondary teams that play in the Marine Harvest North Divisions One and Two so together with the various cup competitions and ladies teams there’s usually at least one home game to go and watch at one of the local clubs. A fixture list for any upcoming weekend can usually be found here: www.fixtureslive.com/external/shinty/fixtures/ and you can always find out what is going on by visiting www.shinty.com. In terms of their performance in the 2017 league season, the local teams all suffered some disappointment. Kilmallie was demoted from the first tier Marine Harvest Premiership having finished eighth, Lochaber stayed up having finished only one place above at seventh. Fort William just missed out on promotion from the second tier Marine Harvest National Division having finished third on goal difference. 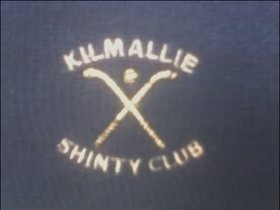 It would be fair to say the sport of shinty is more than a little dominated by the Speyside neighbours of Kingussie and Newtonmore – their grounds are only 4 miles apart. When Fort William won the Premiership in 2006, the only time they have done so since it started in 1996, it ended a 20-year winning streak for Kingussie (they had won the previous league format eleven times before the Premiership began). In 2005, Kingussie were named as the world’s most successful sports club team by the Guinness Book of World Records, quite an accolade for a town with a population of less than 1,500. Kingussie reclaimed the Premiership in 2007 and went on to win it again for the next two seasons before rivals Newtonmore started their seven-year winning streak in 2010, that winning streak ended in 2017 when Kinlochshiel (from Kirkton near the bridge to Skye) won. So was this non-Newtonmore/Kingussie win a minor hiccup in their dominance of the top flight or will we see a bit more competition in the 2018 season? To keep abreast of the latest results visit www.fixtureslive.com/external/shinty/results/. In addition to the league competitions, and probably the most sought-after prize in shinty, is the Camanachd Cup. The competition has been played since 1896. As of the 2017 final, the holders were Newtonmore who have won the cup the most, 32 times now in fact. Close rivals Kingussie have won the trophy the next most frequently, 23 times. Of the local teams, Fort William has had the most success, appearing in eight consecutive finals from 2003 to 2010, a run which saw them win five of their six cup victories. Kilmallie has only won the trophy once, in 1964. Lochaber haven’t won it yet but when there were two teams in Spean Bridge, one of them, Brae Lochaber were runners up… in 1897. The final of the 2018 Camanachd Cup will be played in Oban’s Mossfield Stadium on September 15. We’re not going to go into depth here but if you’re going to see a game for the first time you’ll probably get more out of it if you have a little knowledge of what’s going on. Despite appearing to be a version of field hockey, Shinty is probably closest, in terms of rules, to football (or “soccer” for our North American guests). A game lasts 90 minutes with a half-time break of ten minutes, there are 12 players a side including a dedicated goalkeeper. A shinty pitch is about the same width as a football pitch but about a third longer, well over double the length of a hockey pitch. The goals are taller but less wide than football goals, almost square in fact: 10 feet high by 12 feet wide. That might seem high but the goalkeeper does have a 3.5 (ish) foot stick in their hand so should be able to touch the crossbar and therefore theoretically get their caman in the way of any shots on goal – it is quite difficult to get the ball into the air, the ball spends most of its time on or just above the ground. As we mentioned above, unlike hockey the ball can be struck in the air, there’s no limit on the swing of the caman and both sides of the caman can be used. The caman can also be used to “block” by putting your caman over the ball with the tip in the ground, and “hook” by using the bend in your caman to catch the bend in an opponent’s caman before invoking a quick, and perfectly legal, shoulder barge to gain access to the ball. The ball can be stopped with the chest but not the head, which is penalised even if unintentional as dangerous play! You can stop the ball with your feet but you can’t kick it so if using one foot it must be on the ground, players most commonly use both feet with heels together, sometimes in the air. Players can’t use their hands except for the goalkeeper who can use their palm to slap it down – they can’t catch it. The goalkeeper and defenders are also the only ones allowed in the”10-yard area”, also known as the “D”, otherwise, it’s an off-side offence if the attackers and the ball are in the “D” at the same time. The game starts, and restarts after a goal or any non-foul, with a throw-up – cue the sound of clashing camans. One final rule it’s worth knowing about: if the ball goes out of play over the sidelines then, much like a throw-in in football, the players use a “shy” to get it back into play. This involves throwing the ball into the air and striking it over the head with the back of the caman – it’s much more difficult than it looks! So, now you know! We would definitely recommend you take in a game if you have time while you’re in the area. We’ll try and publish details of all the upcoming matches on our monthly What’s On blog. * If you want to go and watch Lochaber play at the Spean Bridge Stadium then you’ll need some directions. From Corpach/Fort William you follow the A82 north to Spean Bridge. Turn immediately right after you’ve crossed the bridge onto the A86 (signposted for Newtonmore) and then look for the left turning after about a third of a mile, signposted for West Tirindrish, it’s just before the primary school which is on the edge of the village. Take the second right when the road curves to the left and at the top of the hill take the first right, the car park is directly in front of you and you’ll see the ground and clubhouse on your right.